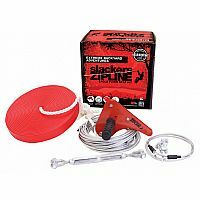 Bring the adventure home with our backyard ziplines! 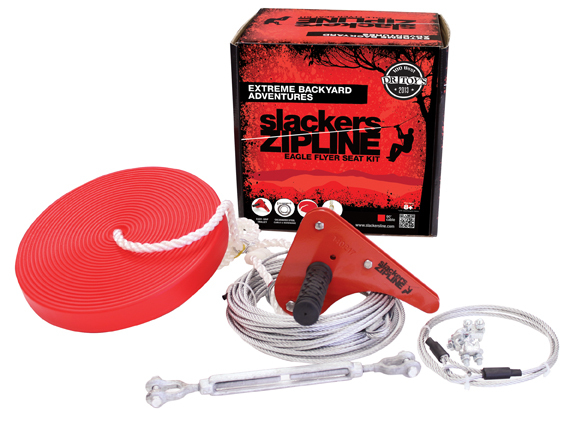 Most people agree that zip line kits are one of the most exciting items that you can put in your backyard for hours and hours of enjoyment. 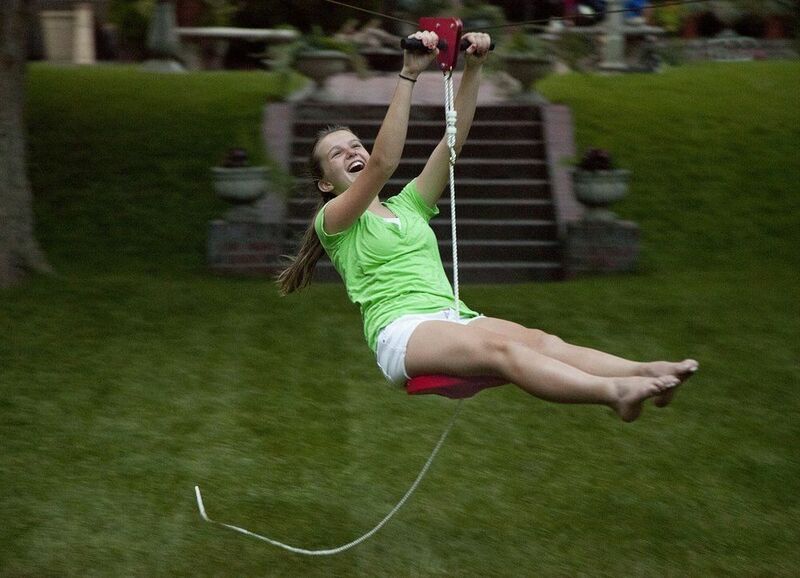 The ziplines help improve strength, athletic skills, and balance all while riding a just a few feet off the ground. 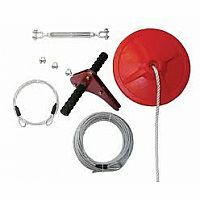 the 70ft Eagle comes with a fully assembled, strong steel trolley with two non slip rubber grips. With the included seat, soaring through your yard is a breeze! The 85’ cable provides enough length for larger backyards as well as a rip roaring ride! Follow the directions and your zipline will be set up in 30 minutes. 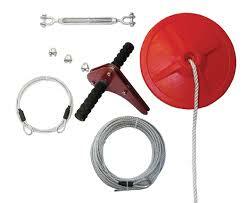 Specially designed hardware bracket all ows rope and seat length to change for different riders’ height.